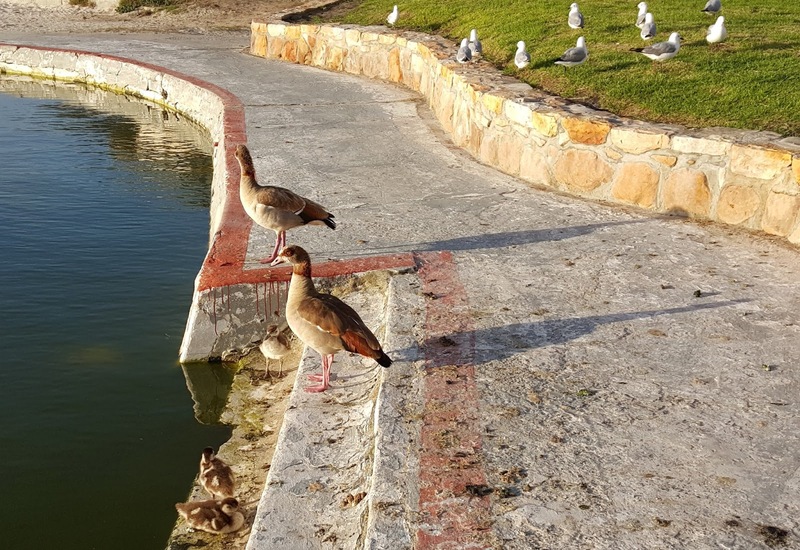 Since we have come to live in Camps Bay we have always seen a couple of Egyptian geese - which are actually ducks! - wandering around the beach area. 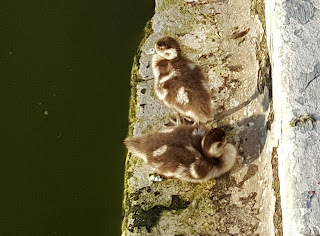 Last year was the first time we saw them with goslings. And a few days ago on our walk to the beach we encountered this family. Very alert about being approached, lots of quacking and a quick escape into the water! And a few days ago on our walk to the beach we encountered this family. oxenford pest control are very effective for small pesticides. Wonderful pictures of the Egyptian geese. They do look extremely majestic. 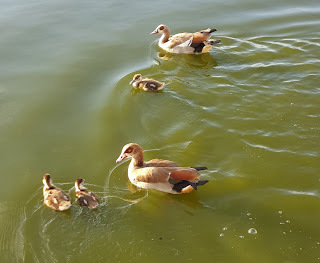 Curious on how they came to be named Egyptian geese. Will be on the lookout if we ever come through Camp Bay.